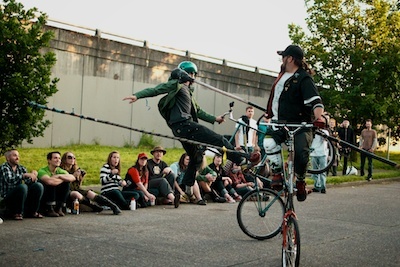 The Dead Babies put on a Tall Bike Joust show during the Georgtown Carnival. A couple photos now and more later. That big boy was hard to take down. He was DQ’d for striking her face then she challenged him to a rematch. 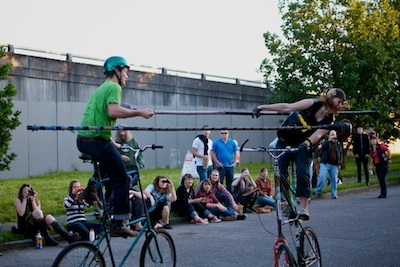 More photos in a slideshow on our Joust page.